Deploy cost-effective performance and capacity for Microsoft® Exchange servers, databases and virtual servers with Dell™ EqualLogic™ PS6110X 10GbE arrays. Master your data-hungry tasks with EqualLogic™ PS6110X high-capacity performance with easy, flexible management for highly consolidated enterprise environments. Balance high performance with high-capacity in the cost-effective PS6110X 10GbE iSCSI array, a Dell Storage solution with a virtualized scale-out architecture that helps enable enterprise-class server consolidation and virtualization. 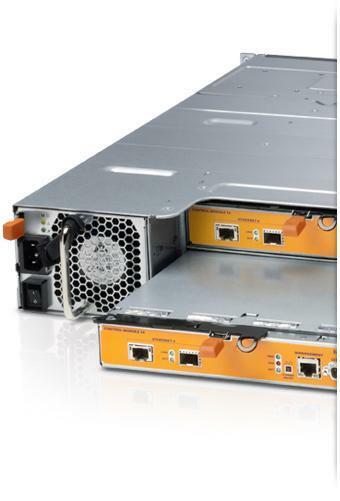 Build more powerful storage using PS6110X 10GbE arrays. With high-performance 2.5” SAS HDDs and up to 28.8TB* of capacity in a 2U chassis, the PS6110X is an outstanding solution for Microsoft® Exchange servers, databases and high-I/O virtual server environments.